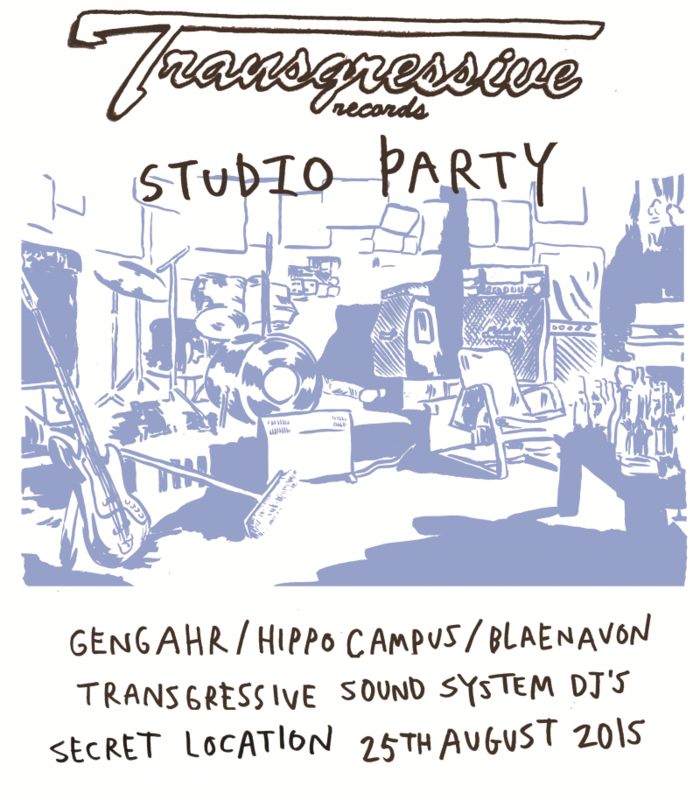 We're delighted to announce details of a Transgressive Records studio party at a top secret London location. At the top of the bill are Gengahr. With huge, triumphant guitars that cruise under delicate melodies, the four piece are one of the biggest bands to emerge in indie this year. Listen to the debut album on Apple Music now. But that's not all. Described by The Guardian as “Future Islands’s enthusiastic kid brothers,” and fresh from debuting on US TV legend Conan O' Brien's talk-show, Hippo Campus will be joining them on the bill. Capping the night are our most recent signing, acclaimed, majestic indie teens Blaenavon, with their first appearance in London in some months (rumours have it that a new release is nigh). Transgressive Soundsystem DJs, meanwhile, will spin party classics. Presented in conjunction with our friends over at Dice and limited to an intimate number of spots, this party will no doubt be one of the hottest events of the year, so get yourself in the competition for a chance to win free tickets.